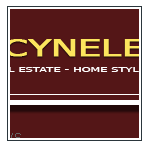 FS Templates have released another new Joomla theme, this time it's called FS Cynele. This new theme has a design based on visitors requests for a Real Estate theme. The theme is tableless with valid XHTML and CSS. It comes in three colour variations and a flexible one, two or tree column layout with 10 collapsible module positions. Visit FSTemplates.com for more information and demonstration.